Yesterday I posted an article about the Stull Act and it got me thinking even more about how we evaluate teachers (something I actually think about often). It’s a topic much larger than this one post, but here are my thoughts…today. Education, as a social and political issue should be relatively simple. It should receive funding to hire, retain and continually train good teachers because they in turn educate children who go on to be in leadership positions in all fields from science to politics to the military to education etc. Bad teachers should either receive professional development training or let go, as is the case in many other fields. In theory, it actually makes a whole lot of sense to me for teachers to be evaluated, in part, on how their students do on standardized tests. As much as I’m not a huge supporter of standardized tests (based on my personal experience doing terribly on them from a young age), working in the world of college admissions, I understand the reality for a need to have universal benchmarks. I assume school systems seek something similar. It’s difficult to quantify anything without concrete numbers – so, in college admission, it’s difficult to compare students to each other without a universal benchmark. We do try, but all high school grades are not created equally, some teachers are great writers and write strong recommendations, while others cannot actually write well themselves, thus submitting sub par recommendations. Some students complete their college essays all on their own, whiles others have substantial resources to get support. But, I am straying from the issue – teacher evaluations. Is it possible to teach for a test while facilitating a holistic educational experience? This fixation with standardized test scores as the goal does seem to defeat the purpose of a true education, which in my mind is a process of skill development, exploration, creativity, success and failure. I don’t believe a standardized test result can capture that. But, if not a standardized test, then what? Let me be very clear, the issue is not nearly this simple and not ever having been a classroom teacher, my perspective is in essence from the ‘outside’. What are your thoughts? To evaluate based on standardized tests or not? The process of preparing for and applying to college (from choosing a high school for some, selecting the right high school courses, doing well, doing extracurricular activities, becoming a leader, choosing colleges to apply to etc, etc, etc) can be downright stressful. It feels as if a child’s entire future depends on making the right choices and if and when there is a misstep, it can be devastating. Consider this perspective. 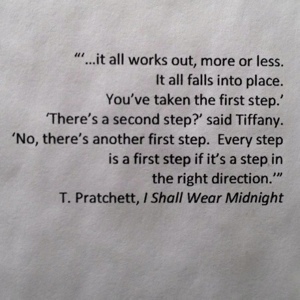 Everyone will have a misstep. Parents who seemingly spend countless dollars doing everything “right” realize at some point, “my child still might not be accepted to (fill in the blank)” in the same way that parents who fear they didn’t or couldn’t do enough also fear “my child might not be accepted to (fill in the blank)”. The reality is there are no guarantees in college admission and so the best you can do is make use of available resources, challenge yourself academically and personally, reflect and select a number of colleges you’d be happy at. It’s doesn’t take a lot of money (or any actually) to be a competitive applicant for college, instead it takes commitment, drive and perspective.